The Sarasota Farmers Market is open year-round, 7am to 1pm. Rain or Shine! 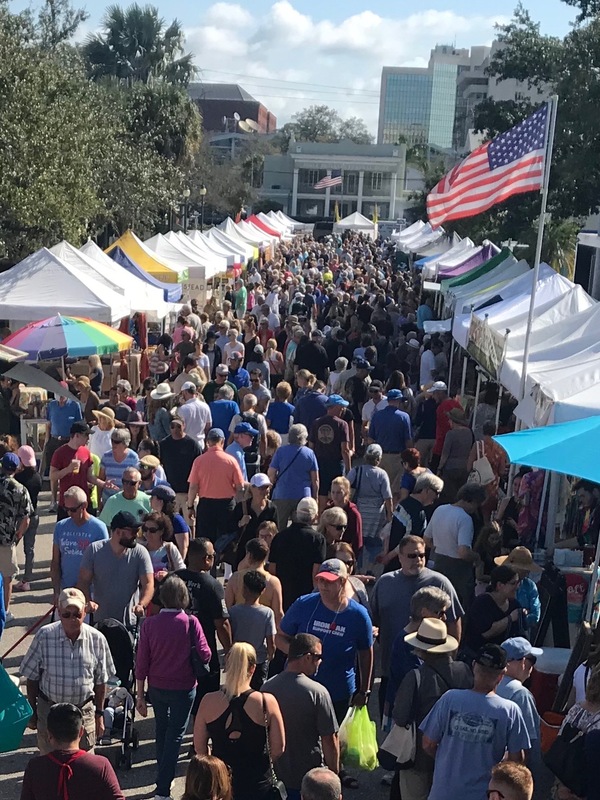 Throughout the year, we host a variety of programs and events to fulfill our mission: create a social opportunity for residents and visitors to gather and interact, to bring foot traffic to downtown Sarasota, sustaining the economic viability of the entire downtown area, and to provide a venue for other not-for-profit organizations benefiting Sarasota. The Sarasota Farmers Market is hosting an Earth Day Celebration on Saturday, April 20, 9:00AM-12:00PM. We will have several local non-profits in our Eco-Village in our community area off 1st Street. There will be fun kids activities such as coconut painting, painting terracotta pots and planting their very own basil plant. These kids activities are FREE to children while supplies last that day. We have been working on more green initiatives this past year to phase out styrofoam and permanently switch to all eco-friendly, recyclable food containers. This will be the day we celebrate this achievement. Come celebrate and help us create a greener future! Musical guests will be Harpist Natalie (Harp Soup) and the Sarasota Jazz Project. Regular market hours are always 7:00am-1:00pm.